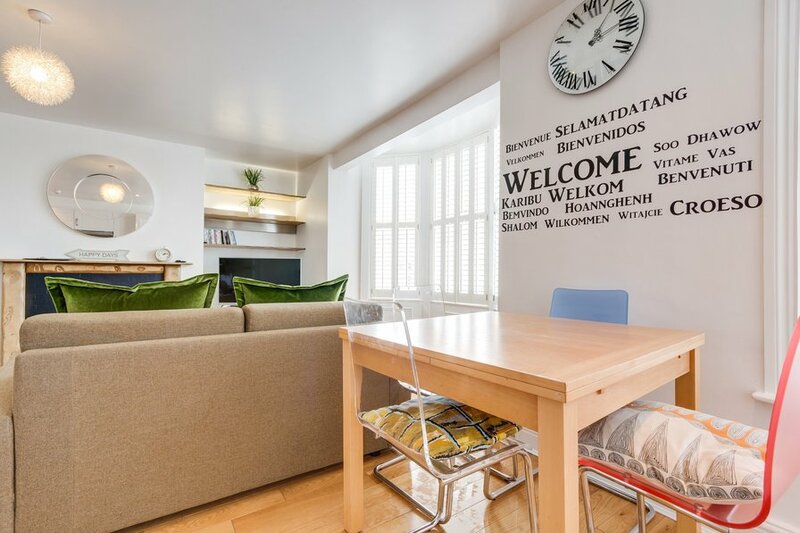 In the heart of the fabulous City of Brighton lies the Delaney Nouveau Apartment. Whether you've come here for business or pleasure, the Delaney Nouveau is the ideal short-term stay. Situated just a stones throw from the sea and other attractions such as the Brighton Lanes and the Sea Life Centre, the apartment boasts fabulous views to the left of the sea and famous Palace Pier, Steine Gardens and the Royal Pavilion to the right. Conveniently located on the Old Steine, this wonderful place is walking distance from everything you need during your stay. The Delaney Apartment is just 10 minutes on foot or a short taxi ride from Brighton's mainline station. You will undoubtedly fall in love with the Nouveau Delaney, the local area and everything it has to offer! There is simply too much to do here to list! Whether you've come to Brighton to experience the nightlife, culture, history or shopping, everything is right on your doorstep. If you fancy some pampering, why not have a massage or beauty treatment at one of the nearby salons or spas? The owner is a big fan of holistic therapies and can recommend the best treatments in Brighton. A short bus ride will take you up to Devils Dyke where you can experience panoramic views of the Downs. The Royal Pavilion is a 5 minute walk away and is open to visitors on a daily basis. The nearest clubs and bars are a minutes walk away, but don't worry about noise as the bedrooms are out the back and fitted with fire doors making them almost soundproof. The Sealife Centre and Brighton Pier are just over the road, so there's something for the kids too! You will certainly not need a car to get the most out of your holiday... you can get just about anywhere by bus from the Old Steine! The apartment best sleeps four people in two bedrooms, however a maximum of six people can be accommodated in the lounge at £50 extra per week/booking for additional bed and linen. Please ensure you select this option on checkout and confirm with the owner otherwise your fifth/sixth guests will not have anywhere to sleep!! We have four apartments in the same building so can accommodate larger groups or perhaps if you just want to spread out. Discounts are available for Long Stays, Last Minute or Fill-in dates less than 3 nights. Please email for details and your discount code. If you would like to check-in earlier or have a lie-in past usual check-out time of 10:00, you can extend either by two hours by purchasing an "extra" at the check-out. Smoking is not permitted in the apartment - you will need to smoke outside the building. Smokers may prefer the Delaney as it has a covered balcony. Thank you for your understanding. Elderly or disabled customers are advised that there are five stairs up to the front door, then four flights of 11 stairs up to the second floor. If you have any special requirements please let us know. If you would like the bed layout altered or hypo allergic bedding, please give us seven days' notice. PLEASE NOTE THAT NONE OF THE DELANEY APARTMENTS ARE SUITABLE FOR ROWDY GROUPS. Other views over Steine Gardens and towards the Pavilion. Free wireless broadband is also available at the apartment.